RV waste hoses are subjected to constant abuse. They can get run over, stepped on, crushed, or cut in normal use. Don’t get caught with a full tank and no hose to hook-up to the sewer! Keep an extra hose with you at all times. It is cheap insurance! RVP141 - Cap: They fall off and they break. It is important to have an extra so that your RV is not leaving a trail wherever you go! 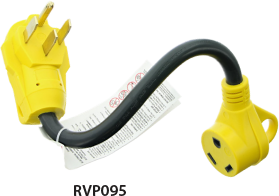 RVP142 - Straight Hose Connector: Connect to the hose so you can attach to the RV outlet. RVP144 - Coupling: used to put two hoses together. Our hose stretches to 20 feet, but if you need to go a longer distance, you can put two hoses together. You can also use this to repair a hose by cutting out the damaged portion and putting it back together. 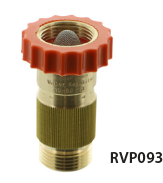 RVP145 - 45° Hose Connector – just like the male adapter, this goes into the hose so you can attach to the RV outlet. However, this fitting is at a 45° angle to help point the hose down and avoid kinking. 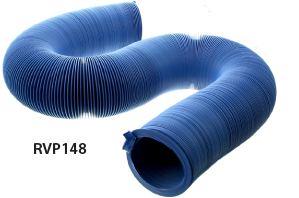 Easy to use and very important for holding fittings securely into the sewer hose. It is not unusual for the vent cap to get broken off if you hit a low branch or something knocks into it. Keep pests, debris and water out of your drain system by replacing the cap. It is a simple repair that keeps your plumbing system in tip-top shape. Plumbing systems are generally designed to work at 40-50 PSI of pressure. Water inlets at many parks run higher. Don’t put your RV’s plumbing system at risk – simply place the regulator on the water supply spigot and take the worry out of hooking up. Also, these are frequently lost or left behind, so it is a good idea to have an extra one with you at all times. Not all garden hoses are drinking water safe. It is critical to have an extra water hose with you at all times. Sometimes the hook up is further away than your existing hose can reach. Other times, your existing hose can get damaged and it needs to be replaced. Either way, you need to get the water to the RV! Help prevent your hose from kinking – use this adapter to angle the hose in the direction it needs to go. Also, this fitting is easier to put into your city water supply inlet than a long garden hose. 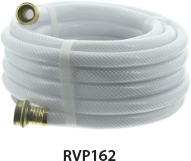 You can attach the hose easily to the fitting because it is sticking out from the body of the RV. Don’t get caught in the dark! You never know what the electrical hook up is going to be. 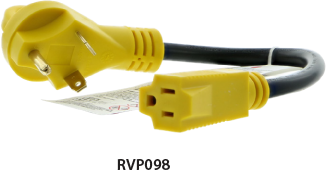 These dogbone adapters will help make sure you can hook up, no matter what you come across. 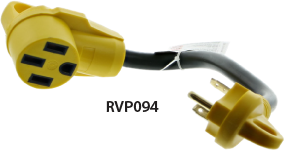 IMPORTANT – match the maximum amperage of your RV to the amperage rating on the cord. Don’t get caught in the dark! 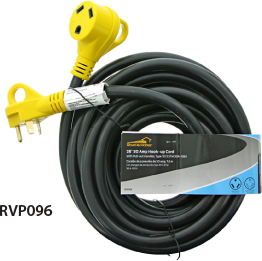 You should never use a damaged electrical cord. The risk of electrocution, fires, short circuits and other serious events is very real. If your cord has a cut jacket, or it is damaged in any way – please replace it. Think about carrying an extra with you so you don’t get to the park and find that your cord is not in pristine condition. Prepare to adapt! Always have the right outlet to match your hook up. 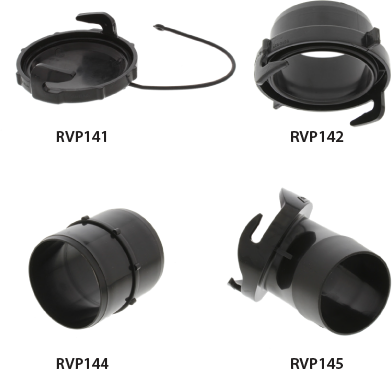 Use these adapters to make sure your lights will come on!